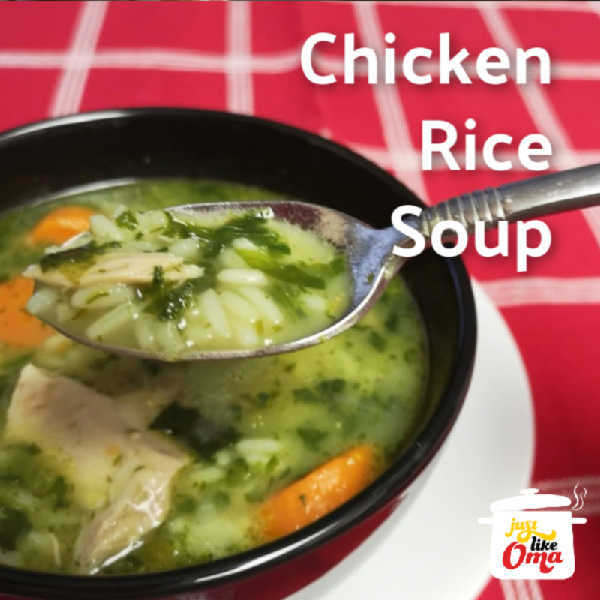 Oma's German Recipes Blog keeps you up-to-date with new recipes and ideas for you to create those quick and easy traditional German foods and meals. Subscribe now (Click on orange icon beside "Recent Articles" in left nav bar) - no email is necessary. Continue reading "❤️ German Apple Strudel Recipe made Just like Oma ⬅︎ *"
Continue reading "❤️ German Apple Pancake Recipe made Just like Oma*"
Continue reading "❤️ Bienenstich Recipe (Bee Sting Cake) made Just like Oma*"
Continue reading "❤️ Oma's German Cheese Spätzle made Just like Oma*"
Oma's German schnitzel recipe (Jäger-Schnitzel) is great if you need something delicious that's quick to make as well. So traditionally German and so WUNDERBAR! Continue reading "❤️ German Schnitzel Recipe (Jäger-Schnitzel) ~ Just like Oma*"
This beef rouladen recipe, along with potato dumplings and red cabbage, are among our most cherished authentic German recipes. Easy to make, and delicious! 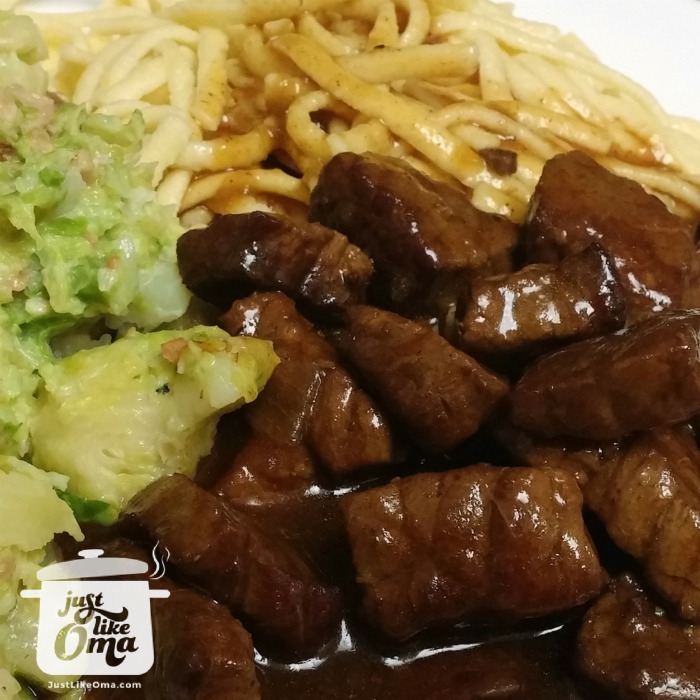 Continue reading "❤️ Traditional Beef Rouladen Recipe made Just like Oma*"
Continue reading "❤️ How to Make Goulash Just like Oma"
Continue reading "❤️ Chicken Rice Soup made Just like Oma ❤️⬅︎*"
Wanting an easy Quark recipe? Check out this unusual way to make this staple ingredient used for German cheesecakes and so much more. 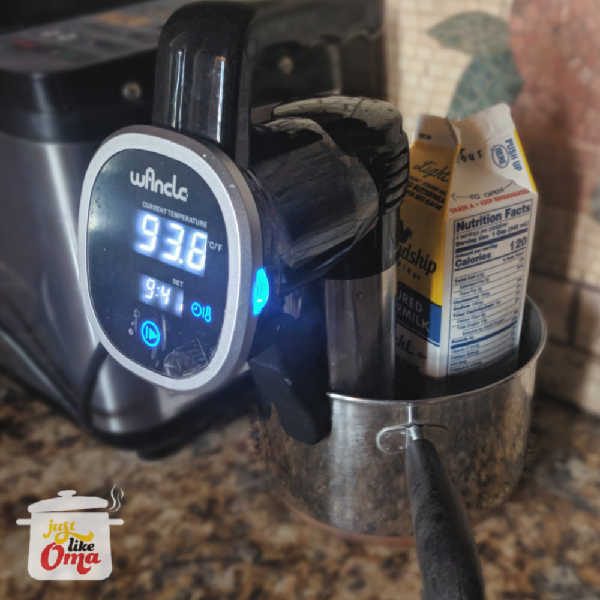 Continue reading "❤️ Quark Recipe made using Sous Vide ❤️⬅︎*"
All About Me! Let me show you how it's easy to build a website and make money. Better than blogging! Stay-at-home mom, retiree, out-of-work? It'll work for you too! 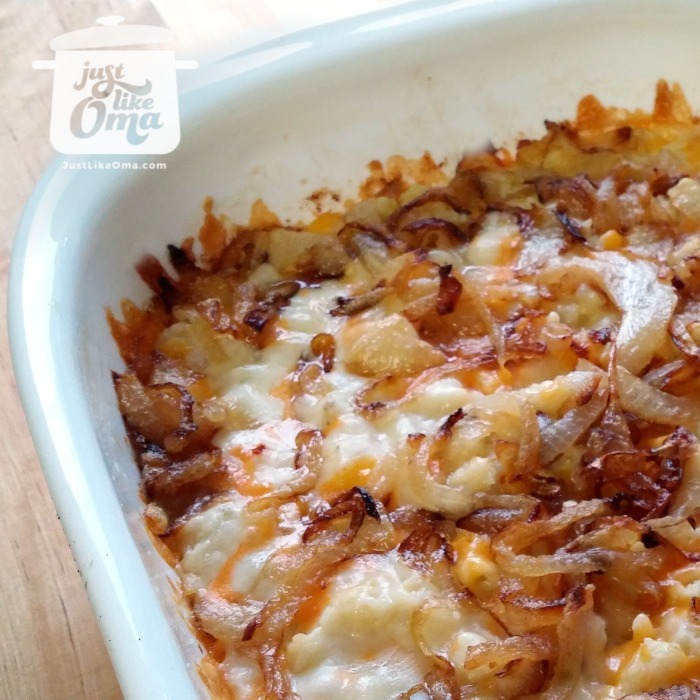 Continue reading "❤️ About Me - Gerhild Fulson - make German foods Just like Oma "